Home Article Does The American Rapper Anderson Paak Have A Son With His Wife Or He Is Dating A Girlfriend? Does The American Rapper Anderson Paak Have A Son With His Wife Or He Is Dating A Girlfriend? It's not often some significant details of the personal life of a celeb remains hidden for years after he has already gained fame. 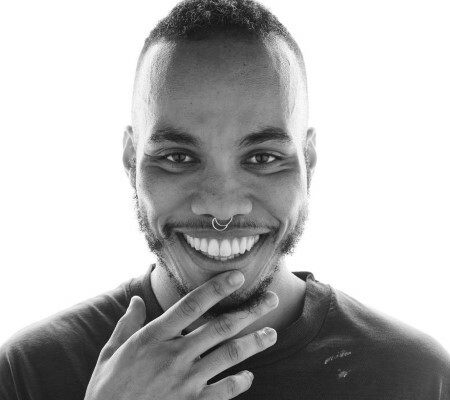 Anderson Paak certainly belongs to this category who disclosed rather massive info about his past dating life in 2016 which was concealed from the media. 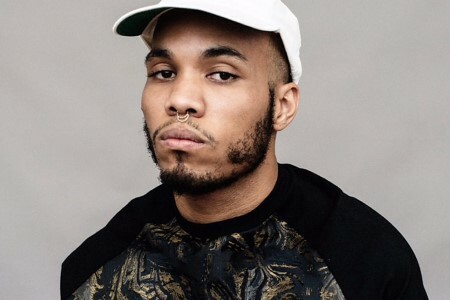 Paak is largely successful with his professional career which appears to be common knowledge. In today's section, however, we'll talk about his personal life which seems to create much intrigue amongst his fans. Anderson Paak is married to his longtime girlfriend named Jae Lin since 2011. The couple first met at the Musicians Institute of Hollywood where his then-future wife was a vocal student. The couple shares a child together, a son named Soul Rasheed. During an interview in September 2015, he revealed that his son was born in 2011. Paak further revealed he found true love in the form of Lin. The two married shortly after dating, and the rapper claimed that Lin is always by his side; even when they had no money and no place to live. Paak's remarkable success with his professional career seems to be have made him extra wary of privacy concerning his family life. However, this does not stop him from praising his wife whenever he gets an opportunity to. The American rapper is currently living a blissful married life. The entire family of three look adorable together. Moreover, his family's love helped him achieve much success in his career. In particular, his wife who has been a supportive figure throughout assisted him in becoming the man he is today. During an interview with The Guardian in April 2016, Paak revealed Jae was actually his second wife. "So my [second] wife came in from Korea and she got pregnant…"
It was later revealed Anderson was previously married to his then-girlfriend when he was just 21. The couple first met at Oxnard's church and later moved to her with Los Angeles the same year they tied the knot. "Soon as I married the girl, I was about to divorce her." "I just wanted some stability. She was encouraging towards me singing and getting back into music… so I was grateful to have gone through that." The name of the rapper's first wife was never disclosed. Meanwhile, it feels like a blessing in disguise the fact that Anderson split from her only to bump into the amazingly caring and supportive partner Jae. Paak's path to stardom was not easy at all. When he was merely seven years old, his father was sent to prison for assault, while his mother who was the victim of assault later went to jail after failing to declare her income. "My little sister and I went out front and my pops was on top of my mom. There was blood in the street. He was arrested and that was the last time I saw him. I think he did 14 years." The house that Paak lived in with his siblings was then foreclosed. It forced Anderson to raise himself enduring years of hardship. By his mid-20s, Paak was married to his second wife and expecting his first child, while working on a weed farm in California. He later lost his job in 2011, subsequently turning the young couple homeless. Paak and his wife were only able to build a decent life after being taken in by fellow musician Shafiq Husayn. Husayn put them up until the rapper could finish recording his debut album Venice. After its success, Anderson was able to find a place for him and his family to live. "There was a period of time where I was homeless, and I had a family. My son was a newborn. I just got married. That time of being homeless built a lot of character. That’s the foundation that I’m on right now. A lot of songs came out of that. I needed that sh*t."
Speaking to Gigwise, Paak was asked how he coped with the difficult period. He responded, "I’d always say to myself: there’s gotta be a better ending than this. It can’t be like this." Born on 8th February 1986 in Oxnard, California. His birth sign is Aquarius. He has two sibling sisters. He began producing music as a teenager from his own bedroom. He was a drummer at his family's church. Before he became a musician, he worked at a marijuana farm. His previous stage name was Breezy Lovejoy. As Breezy Lovejoy, he released the album O.B.E. Vol 1. In 2013, he put out an all-covers EP called Cover Art. His released his first album titled Venice in October 2014. His second album called Malibu was released two years later in 2016. He is part of the Duo called NxWorries. He is signed to Aftermath Entertainment. His net worth is estimated to be $650,000. He is one of the biggest names in hip-hop including Dr. Dre, The Game, Mac Miller, and T.I.